Nostalgia is a funny thing. Sometimes it makes something sweeter; other times it feels tired and worn. For cinemagoers of a certain age, Jurassic Park was a landmark moment in 1993, with the most convincing and compelling dinosaurs ever seen on screen. Over time, such monstrous spectacles have become commonplace, yet the sense of wonder and awe at Steven Spielberg’s classic remains strong and prevalent. 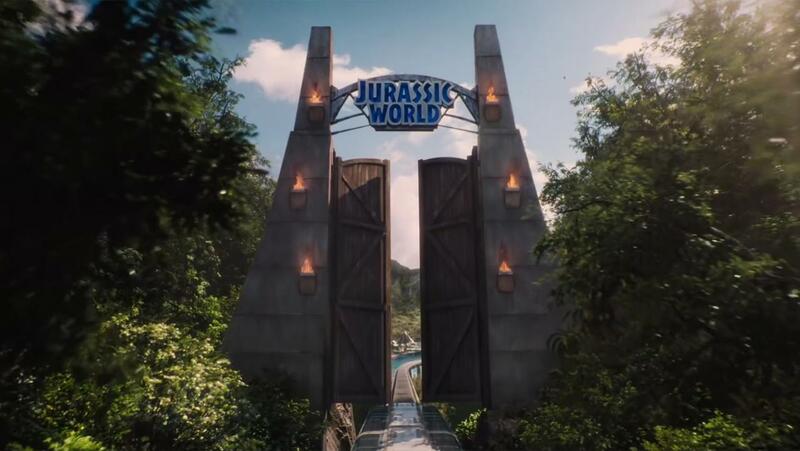 Jurassic World clearly acknowledges the audience’s familiarity with spectacular beasts, and the titular theme park’s need to up its product resonates with modern blockbusters’ need to deliver bigger and better. Along the way, director Colin Trevorrow continually tips his hat to the original, with frequent interludes of John Williams’ iconic theme, visual quotes such as close-ups of dinosaur eyes and old favourites including the tyrannosaur, velociraptors and even the dilophosaur and Mr. DNA. 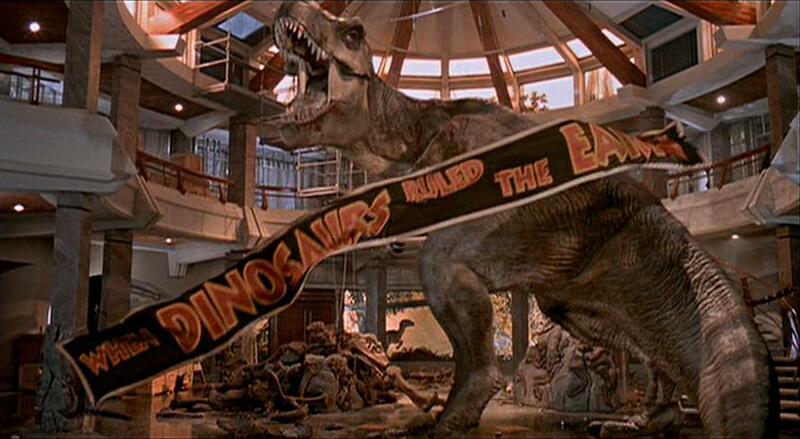 This nostalgia permeates the film, regularly reminding the viewer how much they enjoyed Jurassic Park. 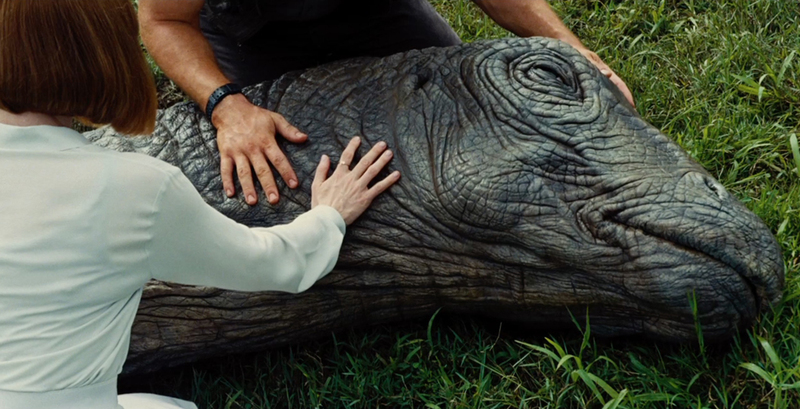 The problem is that Jurassic World fails to convince in its own right. The plotting is sloppy, the set pieces functional and the characters disparate. Chris Pratt is an engaging hero while Bryce Dallas Howard has a half-decent arc, the two kids are not irritating and the dinosaurs are well rendered. But Trevorrow fails to bring any distinctiveness or panache to the visual palette, resulting in a ride that has too few jumps and shocks and no central thrust to pull the viewer along. It is a far sight better than the dino-sized doo-doo that was The Lost World, but lacks even the pace and wit of Jurassic Park III. 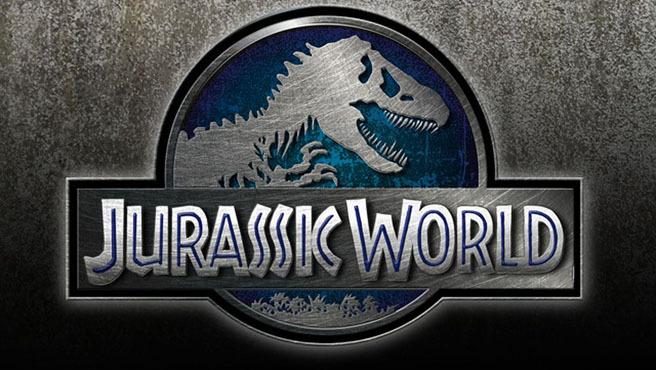 Fun though it is to see dinosaurs because, well, dinosaurs, perhaps it is time for this franchise to go extinct. By vincentmgaine in Uncategorized on June 17, 2015 .